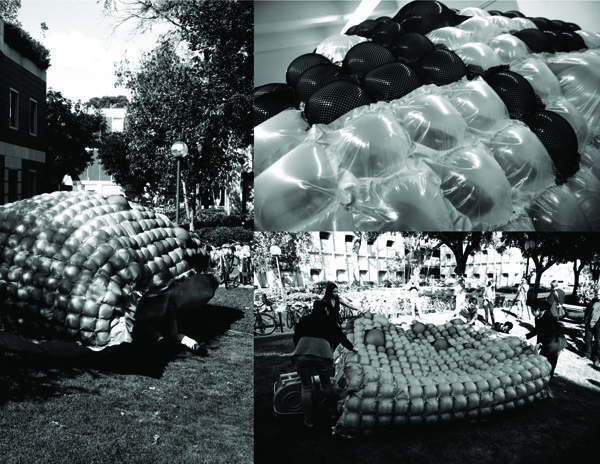 “Sheer Pressure” is one of three projects completed during USC School of Architecture’s annual “Top Fuel” workshop, an intensive one-week fabrication charette. 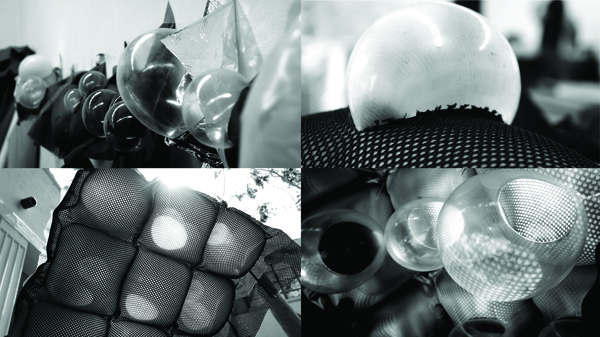 This year the workshop focused onpneumatic systems, under the advisement of Achim Menges and Thomas Auer. 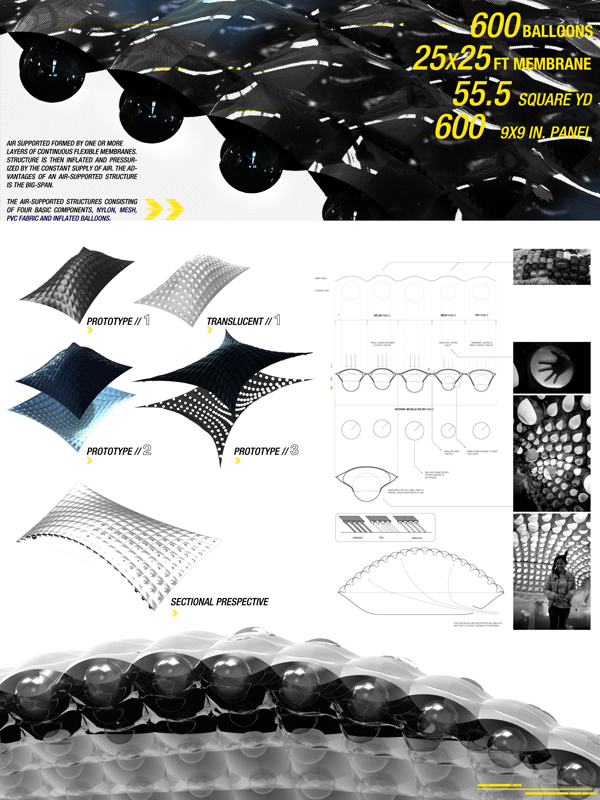 Our group – composed of eight upper-division students from USC and SCI-Arc – studied the relationship between pneus and constraining tensile forces. 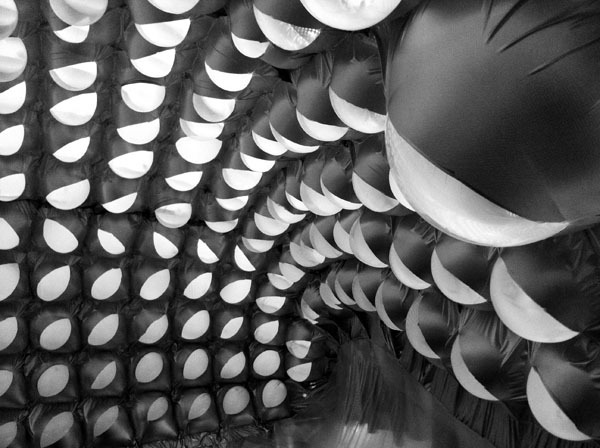 Our initial study models looked at the many ways air-inflated structures could puncture through fabric, and generate different lighting effects. 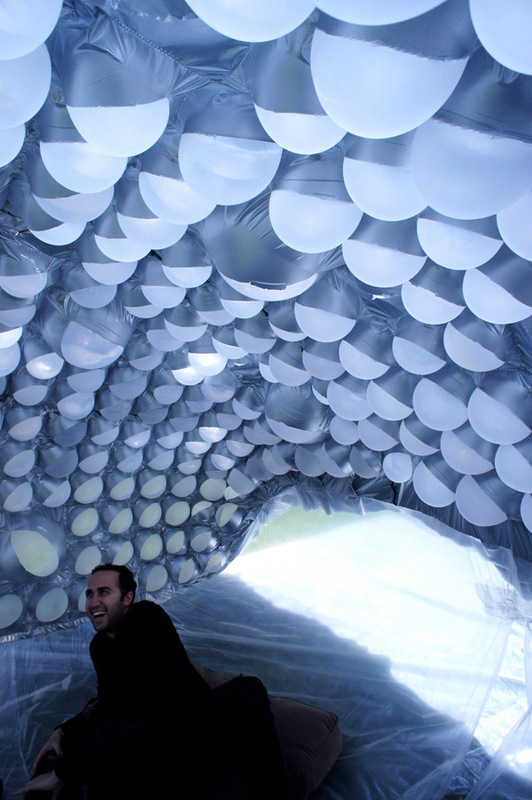 Our final product is a large air-inflated structure, tall enough to fit several standing people. 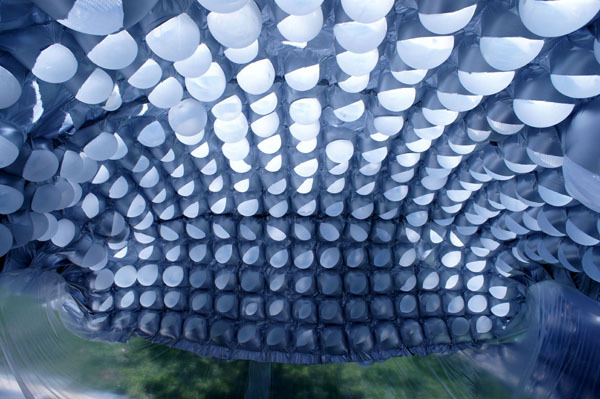 The skin of the structure itself is composed of over five hundred sewn panels of different sizes and materials (plastic, mesh, and nylon), which were designed to allow a gradient of light and transparency, specific to the sun path for our installation location. 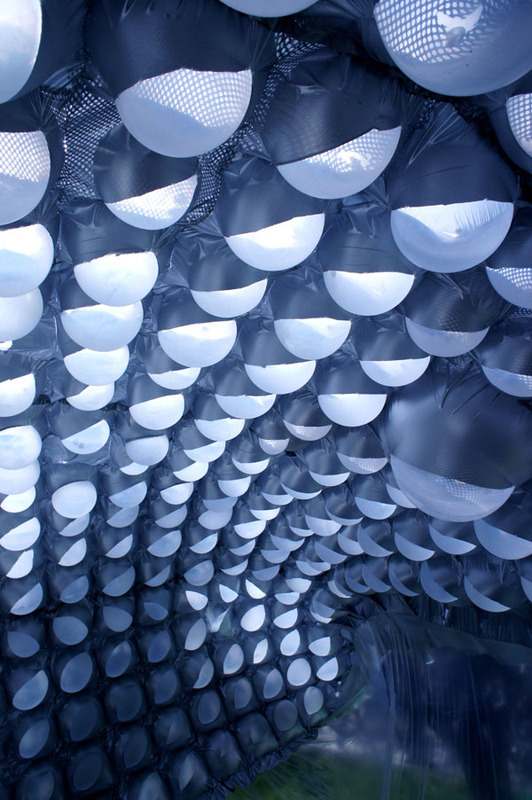 Each panel encloses an inflated balloon – creating a light bulb affect from within.